Need more information on Fiesta® Turf Weed Herbicide? Fiesta® is a safe, iron based herbicide that selectively targets broadleaf weeds and plants. 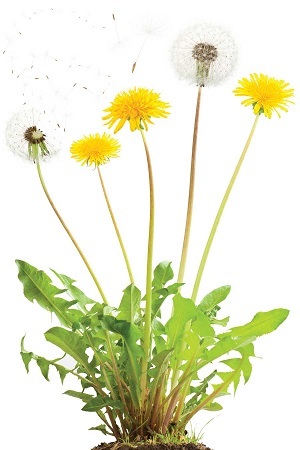 Weeds that come into contact with Fiesta® are quickly knocked down and often appear shrivelled and black within days. All of our Fiesta® Weed Control programs come with full blanket coverage over the entire lawn. This allows for the maximum amount of weed control possible. Click here for information on packages and pricing. The Manitoba provincial government has changed legislation regarding cosmetic herbicide use. Fiesta® is the best provincially approved herbicide currently available on the market. What are the benefits of using Fiesta®? Absolutely! Fiesta® is a product that when used properly, with good cultural practices, is effective in maintaining weed control. We've spent the last couple of years perfecting and pushing this product to the limit, so you can be confident that you'll get the best weed control possible.